We have constructed a capacious warehousing department where the entire range of Human Hair Wigs is stored till delivery. Segregated into various sections, this unit allows us easy accommodation of the procured products. This unit sprawls over a wide area and is efficiently manned by our professionals round the clock. In this unit, we have maintained a suitable temperature and installed proper fire extinguishing facilities. In addition, we provide customized packaging to our clients which is done using quality material. This practice allows safe transportation as well as storage of the products. To ensure easy identification, we also make sure to label each product with company seal. We have employed a team of skilled professionals which is well acquainted with the entire work of the organization. This enables us to procure quality range of Human Hair Wigs from our vendors and deliver the same after inspecting the products for various parameters. All the experts are well aware with the entire process of our organization and also provide us implications in terms of enhancing our business worldwide. Furthermore, the proficiency of our experts to comprehend client's requirements and meeting the deadlines have helped us to win huge clientele across the globe. 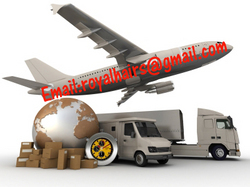 We have been able to receive a positive response from our clients by delivering a superior range of Human Hair Wigs. In order to successfully meet the specific requirements of our valued clients in an effective manner, we have built a meaningful relationship with authentic and trustworthy vendors. At our vendors end the product range is processed in different colors, sizes and styles as per the demands of our clients. It is due to the consistent efforts of our business associates, we are able to meet the urgent and bulk requirements of our esteemed clients.